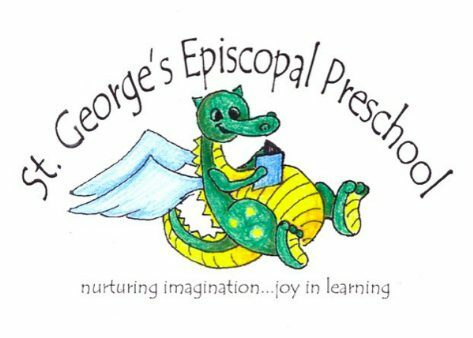 If you are interested in learning more about St. George’s Episcopal Preschool, please plan on attending our Open House on Thursday, January 24, 2019. You and your child(ren)may stop by Sydnor Hall anytime between 10:00 AM and Noon to talk to Danielle Davis, our Director, and take a brief tour of our space. Registration materials are now available on this website. Priority Registration (St. George’s parishioners, current students, and alumni families) begins on January 7, 2019. Open Registration begins on February 1, 2019. Priority Registration is now open for current families, alumni families, and parish families. St. George’s Preschool affirms that every child is born with strengths and weaknesses; that challenges are also opportunities, and that learning should be play-based and joyful. We offer a safe, developmentally appropriate learning environment serving a small yet diverse group of preschoolers from our parish family and under-served families living in our community. Using best educational practices and our spiritual traditions, we stress the total development of each child as a unique individual with his or her own learning style and abilities, focusing on social, spiritual, moral, intellectual, emotional and physical growth. It is our goal to pique curiosity, nurture imagination, and encourage our students in the delights of literature, art, and music, while building a caring community of learners. To these ends, we strive to have parents, teachers, and other community members actively involved in our children’s hands-on, experiential learning. St. George’s Preschool welcomes qualified children regardless of race, nationality, gender expression, socioeconomic status, cultural background or religious traditions to all rights, privileges, programs and activities made available to children at the school. Please contact us at 540-373-5163 or email our Director, Danielle Davis. at preschool@stgeorgesepiscopal.net.